Carriage drivers may be a little more isolated from the horse than riders, but that doesn’t mean that you loose the “feel” for the horse. 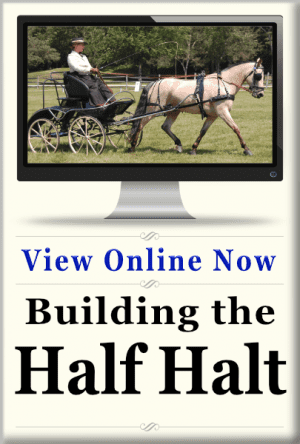 Here’s a great exercise to get reconnected to your horse from the carriage. Think about momentum for a moment. For example, picture yourself in your truck and trailer with horses loaded, heading down the highway. Your exit is coming up in a half mile or so. Being a careful and mindful trailer driver, think about how you are going to approach that off-ramp so that your horses are still on four feet at the end of it. You’ll back off the gas, maybe downshift and eventually apply a little break going into the turn. Part-way through the turn, you let off the brake a little, otherwise, the momentum of the trailer will catch up with you, the horse’s eyes will pop out, the grain will spill into your grooming box and all kinds of mayhem will occur. How did you know when to let that brake off to prevent that problem? Well, an engineer might tell you that you do this just before the apex of the fulcrum, or some such nonsense for those of us who don’t understand that language. But you are not doing the math to figure out when to let off the brake, you’re going by feel. 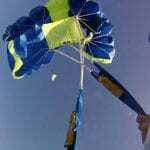 It’s that “flying by the seat of your pants” thing. When you feel the momentum slow, then catch up, you adjust to carry it smoothly around the bend. What in the world does this have to do with carriage driving?!? Well, it’s my experience that people are not using this understanding of momentum when driving their horses. It seems that everyone gets so caught up in “driving the horse”, that they never allow themselves to feel their way through the world in the same way you do when driving a car or truck and trailer. 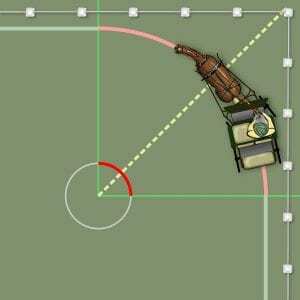 In fact, the interaction between a horse and carriage is very similar to a truck and trailer. With everything you know about horses, do you think that a horse would rather look to where he is going, seeing the world in front of him, or look away, blocking the view of the next step with the blinder? 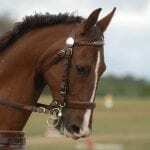 The horse tends to fear what it cannot see, so chances are, it is not intentionally counter‐bending. 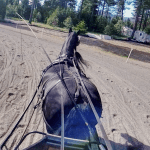 The trouble often lies with the driver trying to “drive the horse” through the turn, rather than considering the momentum required to carry a horse through a turn. Most people watch the horse’s body, neck and head, trying to steer all of that like the handlebars of a bike. 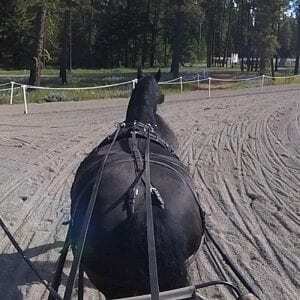 They often enter a turn too fast, then, try to turn and slow the horse once it is in the turn (way too late!) To make matters worse, they hold the horse back through and well past the apex of the turn. The horse has little to no chance of carrying his balance through the turn because the momentum was never a consideration in the turn. Balance, of course, is the pre‐requisite to bending. It starts away from the barn. I want you to pay attention to how you drive your car, or better yet, your truck and trailer. Next time you are on the road, kill the radio, hang up the phone, and pay attention to how you are driving. Most importantly, pay attention to your speed and momentum through the turns. Notice that you probably don’t check your speedometer going into or through the turns, but you feel your way through. You slow your vehicle as you approach the turn, but before you are halfway through, you allow the vehicle to move forward through the turn. Try to capture and record that feeling in your body’s memory. Apply it to your horse. 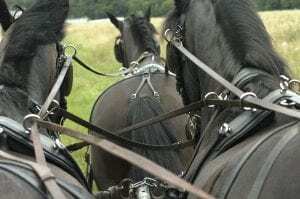 When you go out and drive your horse, stop the carriage for a moment and really try hard to imagine the feeling of driving through corners in your car. Think of how you would slow approaching a turn, breaking into the turn, and accelerating out of it. Also, imagine where your eyes will be in the turn. 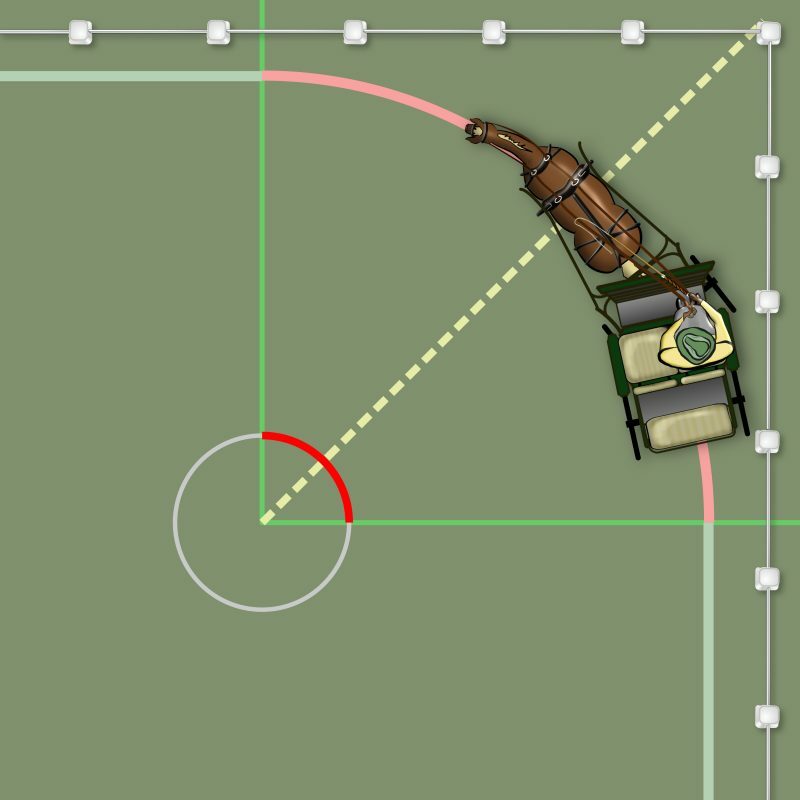 With those feelings in mind, as kind of a momentum map, plan out the next few turns with your horse and carriage. Consider what you want the momentum through those turns to feel like, rather than considering how you’ll drive your horse through them. Use some sort of landmark to train your eyes about 3 to 4 times the length of your horse and carriage ahead. I actually have surveyors markers in the ring where I drive to keep myself honest when doing these exercises. 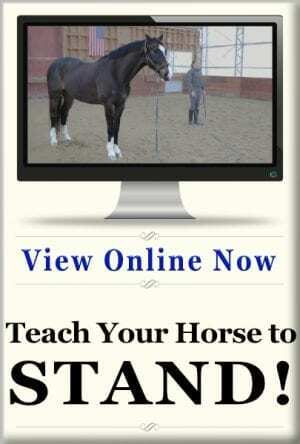 Most importantly; don’t watch how your horse is moving through the turn! Take the first few turns without trying to change anything. Your job here is just to observe and record. Do as little as possible to change the way you are going through the turn. In fact, barely steer your horse through the turn. Try as much as you can to be a passenger. As you work through this you will notice nearly immediately when the momentum is off. If it’s too fast, you may even feel like you are being pushed (or pulled) into the turn. This is similar to approaching an off-ramp with your car or truck, and feeling the brakes failing or underperforming. 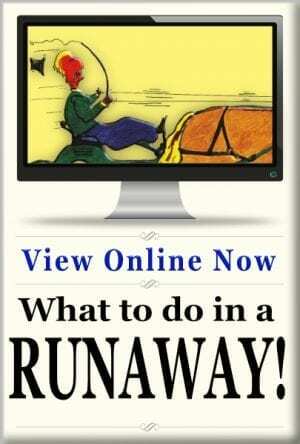 If you are going too slow, you may lean forward or give an involuntary click. 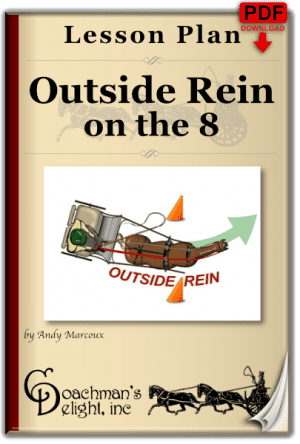 You’ll also likely notice that try as you might, you almost can’t help but use the reins to try to change the momentum or the trajectory of the turn. Resist these urges for the first few drives through the turns, instead focusing your eyes well beyond the turns where you will begin driving again. See if you can separate out your body’s involuntary responses. There will be some that are in reaction to the way the horse is moving, and some in reaction to the way your carriage is moving through the turns. As you progress through a few cycles of the exercise, begin to foster the involuntary reactions to the momentum, rather than the way the horse is carrying himself. Ignore all counter bending, or flexing that the horse does in favor of driving accurately through the turn. Don’t worry about getting your horse to the way-points, get yourself there instead. The big thing is, rather than reacting to the horse, you’ll be reacting to the momentum. As you get better at this, you’ll begin to plan your turns more methodically without any effort. The mistakes of cutting the turn too late or holding the turn too long will begin to fall by the wayside. 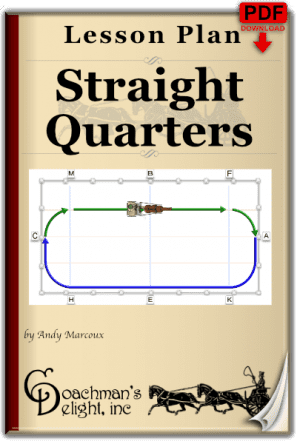 If you are successful with this, you’ll almost inadvertently balance your horse, into, through, and most importantly out of the turns. 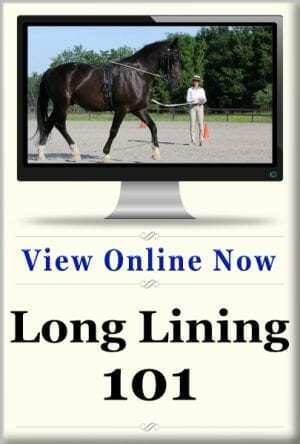 Since balance is the basis for all good horse movement, the horse will begin to move more correctly with less resistance. 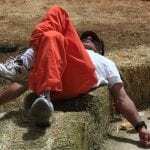 The counter‐bends should fall away, and your horse will relax. In time, you’ll actually begin to get the horse to bend, as long as you don’t try at it! Have fun with this, and let me know how you make out! P.S. 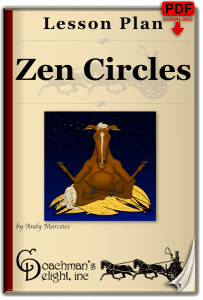 ~ If you want another really fun and interesting exercise related to this skill, checkout the Zen Circles lesson plan. It’s really addictive! You must have been reading my mind! My pony makes fantastic right turns, but I’m having trouble with left. Thanks from me and my pony. Glad you liked it! You might also read this post about (not) bending. I will also be putting a class called “Corner Cleanup” on the schedule sometime later this year. Stay tuned so you don’t miss that one.